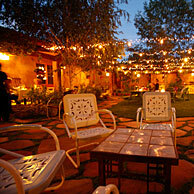 What Do Guests of El Portal Sedona Hotel Have to Say About Us? Here are some reviews by our guests on TripAdvisor.com. If you would like to write about your stay at El Portal please visit TripAdvisor.com and add your review. “Why Condé Nast selected El Portal Sedona as one of “The Top 50 Small Hotels in the WORLD” is apparent from the moment you approach the property. The location is wonderful. The reception/restaurant area is equally wonderful and, once you get a glimpse of the rooms…you’re hooked! Actually, “room” doesn’t do them justice. Most are suites and the decor is too special for words! Check out some of the photos. You’ll be sold! If you are looking for the Ritz Carlton you’re in the wrong place. But, if you appreciate a relaxed, social atmosphere with hand crafted rustic elegance, a staff that strives to make every moment memorable and owner/innkeepers that truly care about how you are and what they can do to make your stay even more pleasant, you’re in the right place. Steve and Connie have created a Remington type masterpiece that will make you want to return before you ever leave! Enjoy!” (Jeff D. Beaumont, CA). El Portal is a pet friendly bed and breakfast located in the Arts and Crafts District. 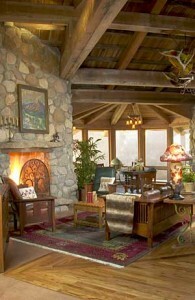 We provide our guests with personalized concierge services for Sedona and the surrounding area. We will help you plan your day, provide directions, information on hikes etc., we will even pet sit your pet for free! For your family holidays, romantic retreat, or just get out of the city stay, call El Portal at 1-800-313-0017.